The Power Charge ENDUROGEL is a rechargeable Valve Regulated Lead Acid (VRLA) battery. 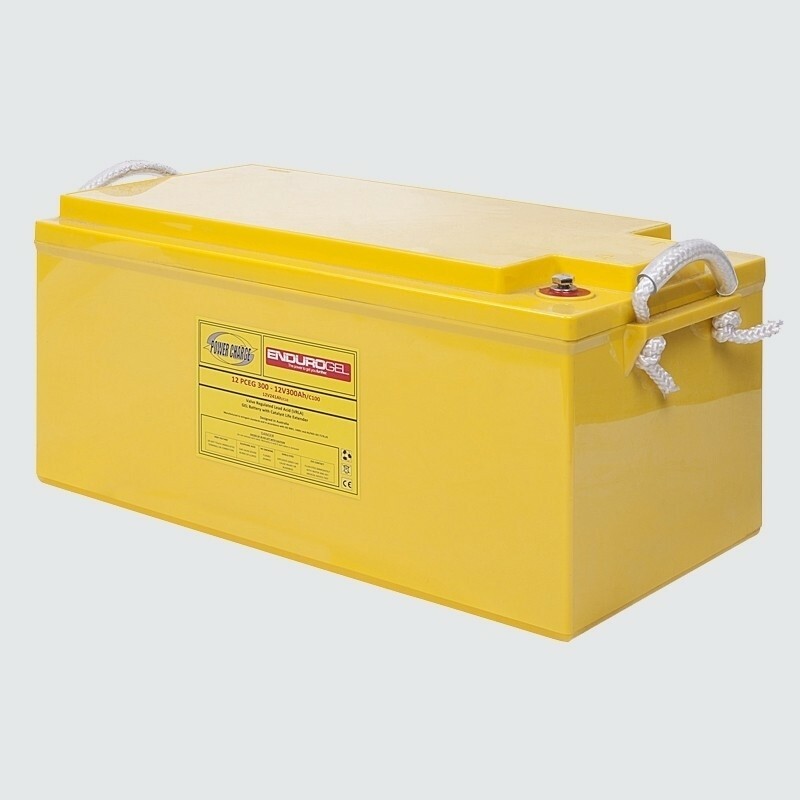 Genuine Gel technology is used to construct the battery along with high purity (99.9%) lead plates, microporous German manufactured gel separators, thixotropic gel electrolyte held in the separator, and tin alloy which assists in the prevention of plate delamination. In addition, the ENDUROGEL has a Catalyst Life Extender installed in the headspace. The Catalyst prevents battery dryout by reducing the loss of water vapour that is created during cycling. These essential gasses are then recombined and replaced back into the battery to assist in preventing battery sulphation, dryout and premature failure. The Catalyst enables the battery to have the same design life of 12 years at 30°C as it does at 20°C.